Nick Dow is the newest discovery on Traum. We have been in touch with the Scotsman for some time, but it was not until recent that Nick was able to finish 5 brand new tracks for us. Nick’s perception of music incorporates listening as well as challenging modern club music and by this ends up traveling very much in the same cosmos as we do with artist such as Dominik Eulberg, Max Cooper, Microtrauma, Minilogue and many more. The young producer has already spent time in New York and Berlin and you will see how this affected his work. 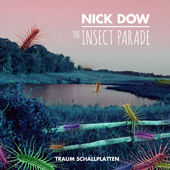 With the opening track "The Insect Parade" Nick captures the rapid yet stable movements and interactions of these friendly creatures he came to know in his former flat in Brooklyn, as well as their sound. This he has exercised in different fascinating ways. The title track "The Insect Parade" sounds as if Joy Division's "Love Will Tear Us Apart" was torn apart and put together in a totally new fashion. Obviously these are not Nick’s own words but it is the impression it made on us. Anyway Nick has written a real emotional, cathartic and artistic "club anthem" exceeding all previous works. 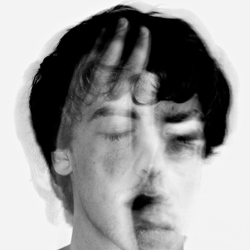 His energetic stabs of distorted melodies are relentless and yet they are sweet and soulful. An army of small sounds wrap around charged moments and then give way… leaving that "empty" space for him to fill out in the next moment. This is a real masterpiece! "Smugglers Cave" is not exactly what Nick himself calls an interplanetary storm churning away the northern hemisphere creating eddies of reflective, multi-hued clouds, when he says: "I was having to stay insanely quite because my friends walls were paper thin and her neighbors would complain at the sound of a bottle lid falling. I needed something to work on that would keep my mind off the stresses of moving and having to fit back in to a different culture." Instead "Smugglers Cave" is a great piece of soothing melodic electronica. I carries that certain baroque flow and in the course of the track refers and seeks places or purity and beauty. The track throughout keeps a nice balance between cushioned euphoria and sadness and is perfect for people who also like our music by Ryan Davis. This is great music by Nick Dow. "Iron Leaves" is very different from it’s predecessors, it is a dark piece of raw rocking techno with a lot of analog noises and feedbacks and hiss. All here comes from intuition and is created from scratch. Nick steers poised and cool through traffic. This is a slack rocker with nice freak out passages. For all of you who like a bit of an iron fist in electronic music this might be the track. "Electrolysis" was written in Scotland, just before Nick moved back to Berlin. The track might have a bit of the rawness of "Iron Leaves" at first glance... but then develops much more of a Krautrock feel to it. Here melodies alternate with sequential noises in a very nice and meditative way. There is this swell and fall of sounds which make this track so exciting. Definitely it is a track in which you can easily loose yourself! We were all dancing on the tables when we heard it at Traum. Our comment: "Electrolysis" is a great "Ruckzuck"! "Self Repair" is a track which was started on good few years ago back in Scotland. It has ingenious rejoicing bloomy passages and we release it here again after having featured it on our last Tour de Traum, because it is a beauty! As Nick says himself: "It has gone through various different transformations and changes. It started out as an ambient track that I used to start my sets with. I finally turned it into something this past summer in Brooklyn's sweltering heat. NY definitely has a big influence on how it turned out."